Hanoi (VNA) – Vietnam resolutely protests against Taiwan (China)’s live-fire exercise around Ba Binh (Itu Aba) island in Vietnam’s Truong Sa (Spratly) archipelago, demanding that it refrain from such actions in the future, stated the Ministry of Foreign Affairs Spokesperson Le Thi Thu Hang. Hang made the statement while fielding questions from reporters on the issue on March 21. 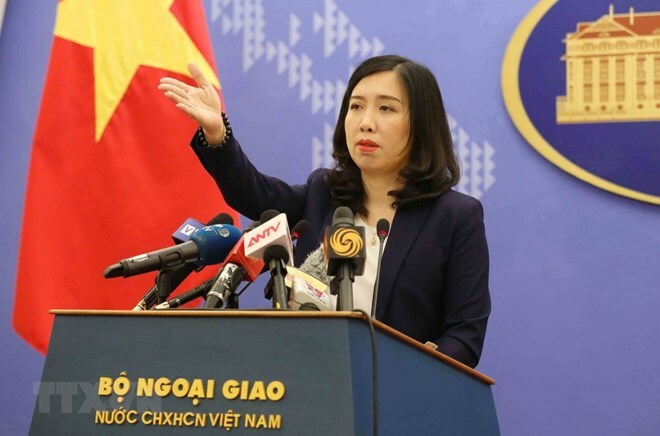 The diplomat elaborated that Vietnam has sufficient legal basis and historic evidence affirming its sovereignty over Hoang Sa (Paracel) and Truong Sa archipelagos in accordance with international law.